What do you mean by “PERSIST” envelope system? 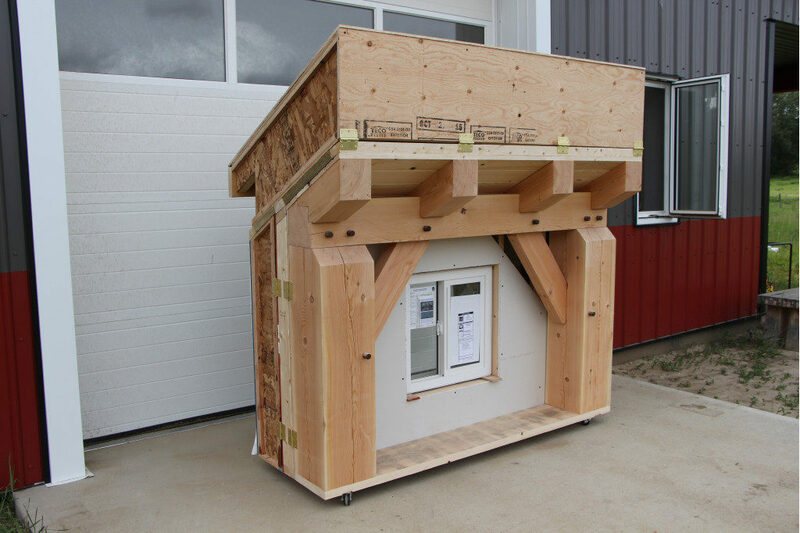 We get some questions that are related to this, but I think that most people are either afraid to ask what it is all about, or assume that a timber frame building has to be enclosed with SIPS (structural insulated panels), like so many other websites suggest. After working in both residential and commercial/industrial construction for many years, the PERSIST system integrates aspects from both sides of these construction types. Basically your vapour barrier is on the outside of a small wall that is next to the timber frame structure and carries all your mechanical (not supply) and electrical, and is made up of a membrane whose main component is bitumen that seals itself to any fastener that penetrates it, unlike poly vapour barrier products. 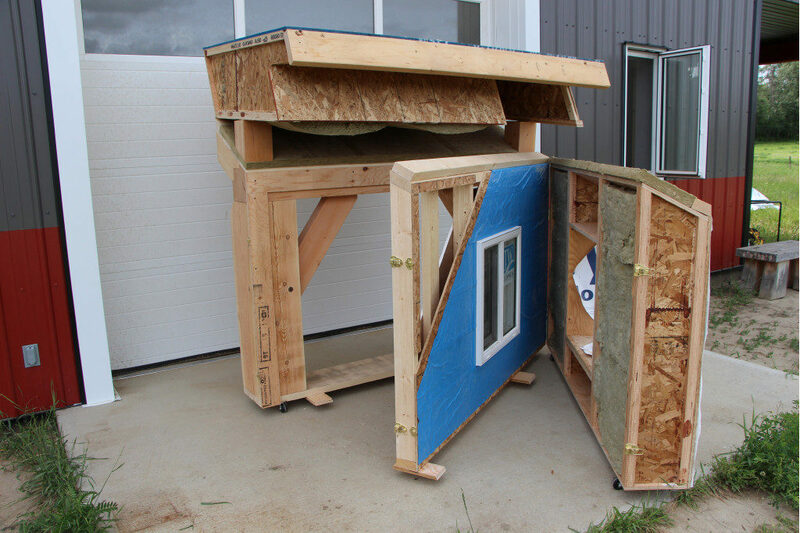 Next is the “out-insulation” system that completes your system and then a surface on top of that to accept finishes. We have built a mock-up model in our shop to illustrate how everything goes together, and it is amazingly simple. All materials are “off the shelf” products that your local framing crew can put together – you do not need specialized labour to complete, especially if they can follow some simple construction details. 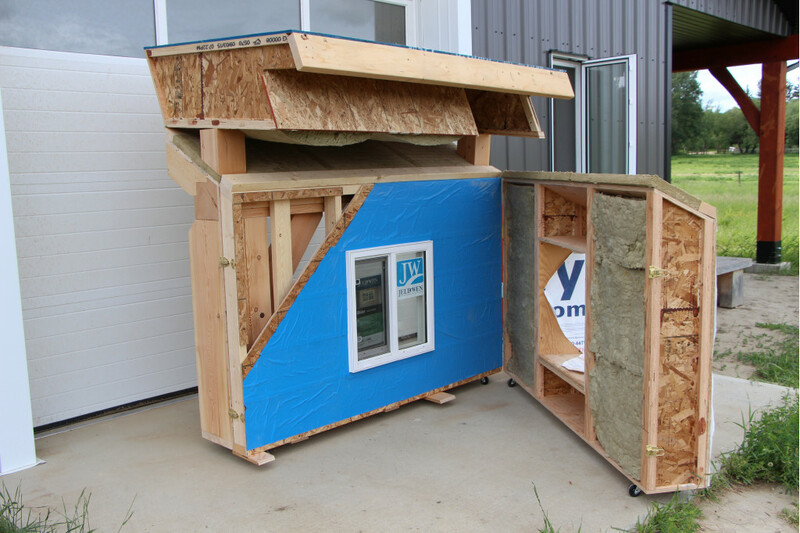 Even DIYers can do this…and the great thing about this is, you can customize your R-value in your walls and roof systems to accommodate your energy efficiency requirements. In our system, walls have an R-value of 36.5 and roofs are 51! 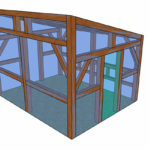 This is showing the inside of the frame with drywall, windows, etc. 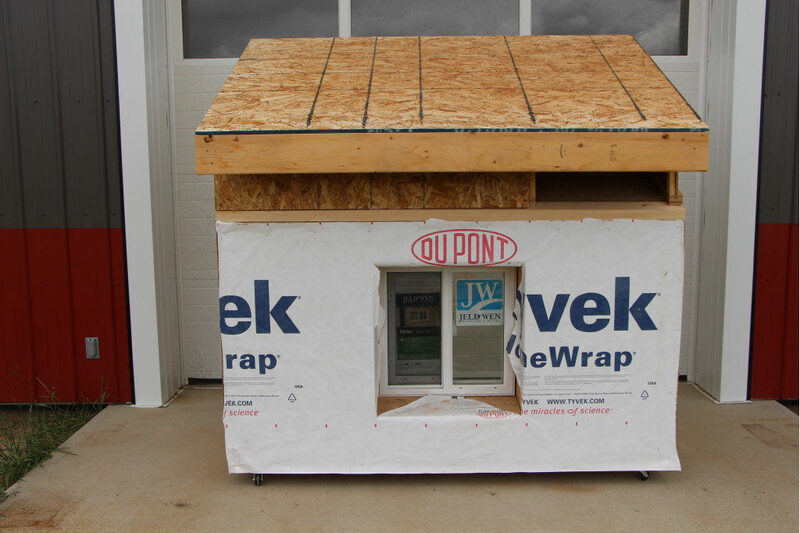 Outside of the wall system, with window enclosed into the first chase wall – prevents those cold wind washes in the winter. This is the “peel and stick” membrane on the chase wall that is made up of bitumen. The insulation wall is a “Larsen Truss” type wall that is 9.5″ thick and carries the 36.5 R-value. We also like to use Roxul (mineral wool – high in recycle content and FIREPROOF). The roof is 14″ thick and carries the R-value of 51 with 2 ” of air space for the roof to “breathe”. Showing all the components in sections. Come on down and check it out so that you can fully understand what is all involved!